Bottom Line: A very smooth and juicy cabernet that is sure to please. 86 • Chessman 2014 Chardonnay, Santa Barbara County 13.8% (USA) $19.99. 83 • Chessman 2014 Pinot Noir, Santa Maria Valley 14.3% (USA) $19.99. 91 • Chessman 2014 Cabernet Sauvignon, Santa Ynez Valley 14.5% (USA) $19.99. 89 • Chessman 2014 Chardonnay, Santa Barbara County 13.8% (USA) $19.99. 87 • Chessman 2013 Pinot Noir, Santa Maria Valley 14.5% (USA) $19.99. 91 • Chime 2015 Chardonnay, North Coast 14.8% (USA) $19.99. 90 • Chime 2015 Cabernet Sauvignon, California 13.9% (USA) $11.99. 84 • Chime 2015 Chardonnay, California 13.5% (USA) $12.99. 88 • Chime 2016 Pinot Noir, California 13.5% (USA) $11.99. 89 • Chime 2016 Chardonnay, California 13.8% (USA) $11.99. 92 • Goldenrod 2016 Pinot Noir, Anderson Valley 14.5% (USA) $34.99. 83 • Replica 2015 "Knockoff", Chardonnay, California 13.8% (USA) $10.99. 88 • Replica 2015 "Misbehaved", Pinot Noir, California 13.8% (USA) $14.99. 84 • Replica 2014 "Just Right", Cabernet Sauvignon, California 13.8% (USA) $12.99. 92 • Replica 2014 Pickpocket, California 15.2% (USA) $24.99. 85 • Replica 2014 "Embellish", Pinot Noir, Oregon 13.5% (USA) $14.99. 82 • Replica 2015 Knockoff, Chardonnay, California 13.8% (USA) $10.99. 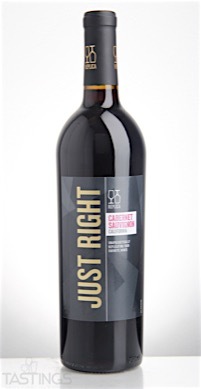 93 • Replica 2014 "Just Right", Cabernet Sauvignon, California 13.8% (USA) $12.99. 90 • Replica 2015 "Misbehaved", Pinot Noir, California 13.8% (USA) $14.99. 87 • Replica 2014 "Embellish", Pinot Noir, Oregon 13.5% (USA) $14.99. 88 • Replica 2015 Knockoff, Chardonnay, California 13.8% (USA) $10.99. 83 • Replica 2015 Scapegoat, Pinot Grigio, Valdadige D.O.C. 12.5% (Italy) $16.99. 84 • Replica 2015 Label Envy, Pinot Noir, North Coast 13.5% (USA) $16.99. 88 • Replica 2014 Embellish, Pinot Noir, Oregon 13.5% (USA) $13.99. 80 • Replica 2015 Label Envy , Pinot Noir, North Coast 13.5% (USA) $16.99. 90 • Replica 2015 Label Envy, Pinot Noir, North Coast 13.5% (USA) $16.99. 88 • Replica 2016 Knockoff, Chardonnay, California 13.8% (USA) $10.99. 86 • Replica 2016 Label Envy, Pinot Noir, North Coast 13.5% (USA) $19.99. 88 • Replica 2016 Pickpocket Red Blend, California 15.2% (USA) $19.99. 86 • Replica 2015 Just Right, Cabernet Sauvignon, California 13.9% (USA) $12.99. 84 • Replica 2015 Just Right, Cabernet Sauvignon, California 13.9% (USA) $12.99. 93 • Stolen Identity 2014 Pinot Noir, Willamette Valley 13% (USA) $16.99. 89 • Stolen Identity 2015 Pinot Gris, Willamette Valley 13% (USA) $13.99. 92 • The Great Oregon Wine Company 2014 Pinot Noir, Willamette Valley 13.5% (USA) $19.99. 88 • The Great Oregon Wine Company 2016 Rose City Rose, Willamette Valley 13% (USA) $14.99. 87 • The Great Oregon Wine Company 2016 Pinot Noir, Willamette Valley 13.5% (USA) $19.99. 85 • The Great Oregon Wine Company 2017 Rose City Rosé, Willamette Valley 13% (USA) $14.99. 86 • The Great Oregon Wine Company 2017 Pinot Gris, Willamette Valley 12.5% (USA) $14.99. 91 • The Great Oregon Wine Company 2016 Rascal, Pinot Noir, Oregon 13% (USA) $12.99. 85 • The Great Oregon Wine Company 2017 Rascal, Pinot Gris, Oregon 12.5% (USA) $12.99. 84 • The Great Oregon Wine Company 2016 Rose City, Pinot Noir, Willamette Valley 13.5% (USA) $14.99. 83 • The Great Oregon Wine Company NV Canned, Pinot Grigio, Washington 13% (USA) $12.99. 88 • The Great Oregon Wine Company NV Canned, Pinot Noir, Oregon 13% (USA) $12.99. 84 • The Great Oregon Wine Company NV Canned Rosé, American 13% (USA) $12.99. Cabernet Sauvignon is a variety that is the source of some of the world’s most celebrated and longest-lived reds. Grown in many countries, it is most famous in Bordeaux, where it is the principal grape in red Bordeaux as well as in California – especially Napa Valley- where it is labeled by its varietal name. Cabernet Sauvignon has aromas and flavors of black currant, cassis, black cherry and sometimes plum (in warmer regions or vintages). Quite rich on the palate, the variety is very tannic, giving its wines a bitter edge in their youth, but also providing the wines with great aging potential, with top flight examples drinking well for as long as four or five decades. Given their richness and flavor profile, wines made from Cabernet Sauvignon need to be paired with rich red meats, such as steaks and roasts as well as game. Besides France and California, other countries with warm growing regions also excel with Cabernet Sauvignon. 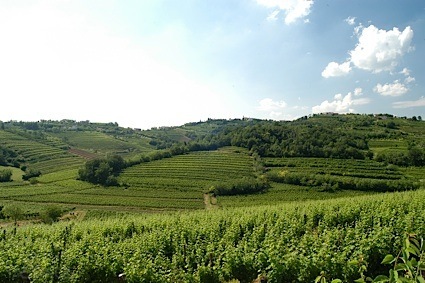 These include the Maipo and Colchagua Valleys in Chile as well as the Bolgheri district, situated on the coast of Tuscany. Replica 2014 "Just Right", Cabernet Sauvignon, California rating was calculated by tastings.com to be 93 points out of 100 on 10/4/2016. Please note that MSRP may have changed since the date of our review.